The words above are not a random string of words; they are one person’s name. 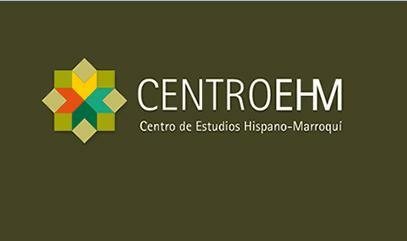 This name represents a combination of both Hebrew and Arabic naming practices and traditions and is that of a man who spoke at a conference we attended in Malaga on March 15, 2013: “Citizen Participation in a Multicultural Society and the Challenge of Interculturality.” It was hosted at the Center for Spanish-Moroccan Studies (Centro EHM), well-known for its efforts to promote harmonious relations between cultures. The person behind the card. The man who spoke is a well-respected librarian and historian and is active in politics in Spain, specifically in the Andalusia region. His real name is above, but the name on his ID is Sebastián de la Obra Sierra, which he conveniently pulled out of his front jacket pocket for all of us to see. When he went up to the panel to speak, he had a serene presence. He wore a maroon jacket that appeared to be of velvet. The voice that escaped his lips under his perfectly groomed salt and pepper mustache when he spoke sounded as satiny as his blazer looked. Before he even began giving his original talk, he insisted that he “name himself.” His Arabic name immediately lets the person he greets know: the name of his son, his father, his grandfather; where he lives, where he was born, and where he has made an important journey; a physical characteristic, his profession, and a moral trait. As he spoke, I was in awe of how much effort he put in to creating this name, this identity that tells so much more than the simple, “Hello, my name is…” I thought, what a powerful way to be able to introduce yourself. Often we wonder where a person comes from, what their journey has been, but as Sebastián said himself, you can learn so little from the official name on your identification. And this identification is often what immigrants become reduced to when they arrive in a new country: a name, a number, not a person with a background or a story to tell. All throughout our journey we were learning people’s names, asking questions about where they are from, how they arrived where they are today, and so on. This tradition of naming lends so much more to a person’s identity. It is a constant reminder of where they come from and where they want to go. It is important to remember that people are more than what they are on a piece of plastic. Opening conversations breaks down barriers to reveal more about a person and their journey. That is not to say if people introduced themselves this way there would be no need for further questions, but it would without a doubt facilitate curious conversations. This entry was posted in student-stories. Bookmark the permalink. Very good post, you have written very important things that everybody must keep in mind. We often forget the importance of being a person, with dignity and many experiences to share. Please continue in educating people, we must understand to respect everyone, it doesn’t matter on where are you from, the color of your skin or the language you speak. Thank you for these helpful guide.